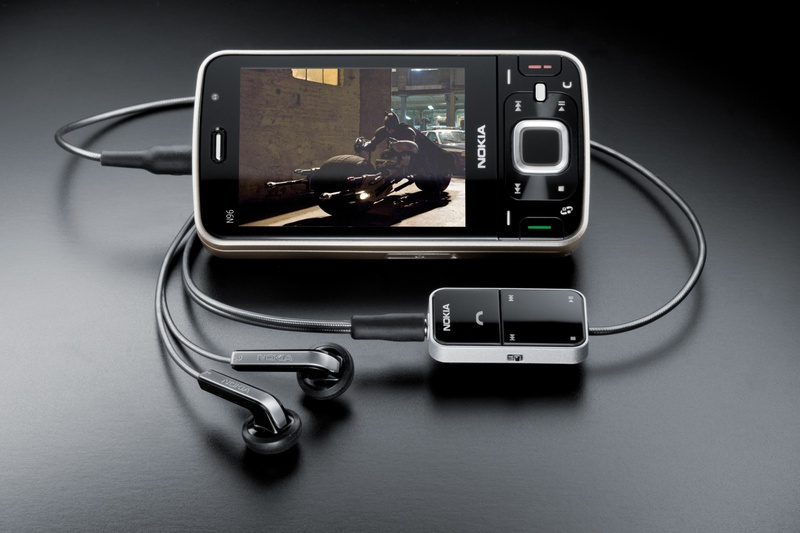 Back in 2006 Nokia produced the iconic Nokia N95 smartphone, followed up by the improved N95 8GB a year later. Both these devices were hugely successful products by a company at its peak. Although upstarts Apple had release the original iPhone in early 2007, it hadn’t had much material impact on Nokia’s sales figures and they were still confident of their dominance of the mobile phone industry. Expectations were high for the new Nokia N96, launched at Mobile World Congress in 2008. And on paper, the N96 looked pretty good. Retaining a similar 2.8” QVGA display to the N96 8GB, the N96 doubled the amount of storage to 16GB and came with a microSD slot (which the N95 8GB did not), it had a similar 5 megapixel camera with Carl Zeiss optics, 3.5G data and WiFi, aGPS, a comprehensive media player, an FM radio and a TV output as well. The biggest surprise was the inclusion of a DVB-H receiver, which meant that you could watch free-to-air transmissions where there was coverage. A clever little kick-stand around the camera lens meant that viewing TV or downloaded videos was a bit more convenient. Because this was a Symbian smartphone you could add applications, although by modern standards this used a clunky approach. What we would consider a modern app store would be introduced by Apple for their second-generation iPhone just a few months later. It was a good-looking device, where the original N95 had been rather utilitarian. But there was no getting away from the fact that it didn’t have a touchscreen like the iPhone did, and at 3.5” the Apple device had more display real estate too. It took a long time to come to market, shipping in September 2008 with a fairly hefty price tag. Critical reception was poor: it was not easy to use, was slow and unreliable. Nokia also undermined the position of the N96 by announcing the N97 and 5800 XpressMusic shortly after launch. Given the achievements of the N95, it initially seemed that the N96 would be a guaranteed success. Instead it turned out to be a flop. It didn’t help either that DVB-H – one of the key features of the N96 – was also never rolled out to any great extent. Today the N96 is largely forgotten, sandwiched between the better-known N95 and N97. Today N96s are somewhat uncommon, prices can be less than €100 for good unlocked ones with accessories but a median price seems to be around €150. You could argue that the N96 marked the beginning of a long and slow decline for Nokia. The market that Nokia had utterly dominated was changing rapidly, but Nokia were not changing quickly enough to go with it. Nokia handsets remained popular (the N96 apart) but within a few years the Symbian platform that the N-series was based on became a dead end.